The Riedinger isn’t the prettiest cocktail out there. 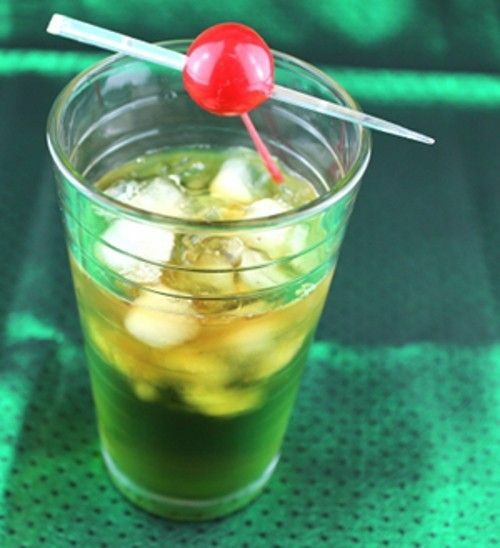 When you pour brown cola into green Midori, you get something that looks like swamp water. But don’t let that stop you from trying this one. The flavor of honeydew and cola with the tartness of lime is a pretty fascinating combination that grows on you quickly. This is a smooth, easy drink that goes well with an evening out or a get-together at home. Fill a highball glass with crushed ice. Pour in the rum, Midori and lime juice. Top it off the rest of the way with cola. Garnish with a cherry.